Revealed last month, a Twitch Prime subscription – free with Amazon Prime – nets you a bunch of gaming goodies each month, as well as letting you sub to a Twitch Channel for free and enjoy an ad-free experience. If you sign up by November 6, you get a new hero in Hearthstone – High Priestess Tyrande Whisperwind – and you also get a free copy of StreamLine, a parkour arena game made in collaboration with Twitch. Twitch have just revealed what freebies are next. Speaking of Blizzard’s card battler, why not read our feature on the best Hearthstone decks. Twitch Prime members also get 20% off the physical console editions of the game, in the US, but there’s nothing like that if you want it on PC. 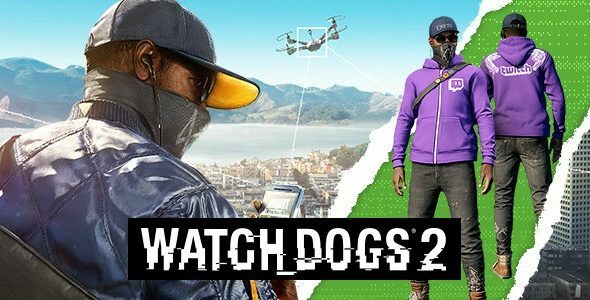 On top of the Watch Dogs 2 stuff, members also get depressing survival management sim, This War of Mine, and the not-depressing fighter tycoon game, Punch Club. Both games are aboslutely free, and they’re yours to keep. Twitch Prime was revealed at TwitchCon 2016 – click that link for the full lowdown on the annual event’s announcements.